Skin is an organ made up of multiple layers of ectodermal tissue, which protects the underlying muscles, bones, ligaments and internal organs. It is the largest organ and is visible to everyone, unlike our internal organs. Any changes to the skin, even if they are mild in nature, can be noticed by anyone. As our skin is the outer most organ, any changes in weather affect the skin first. Skin related issues with respect to changing weather are immense, so we need to know what changes we should adopt if we want ourselves not to land into trouble. Changes to the internal organs are not visible to anyone, rather these changes can only be detected through tests, and however any changes to the skin are visible to everyone. That is the reason why people in general and women in particular are more conscious about these changes. There were limited options available some twenty to twenty five years ago. However with the introduction of modern technology, people have become aware of latest available techniques and looking good has become a priority in recent times. If someone does not have a good skin, he or she has many choices available to improve their skin texture. Our skin goes through drastic changes as the summer ends and the winter season sets in. Humidity is low in winters as compared to the hot weather which causes dryness to the skin. Ideal humidity is 50% but it drops in the winter season. It should not fall below 30% otherwise it dry up the skin. 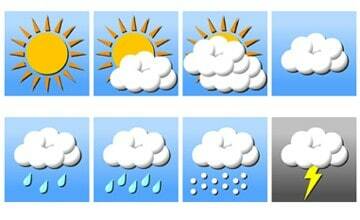 As a result, moisture will come out to compensate the decrease, resulting in further dryness. Dryness of the skin results in redness, inflammation and becomes itchy. People scratch their skin, causing injury to the epidermis and bacteria can easily penetrate, starting an ‘itch scratch cycle’. A small device is available in the market which shows the humidity in the air and it’s quite economical as well. This gadget can be fixed on the wall which will keep on showing the humidity level in a particular room. Moreover, we all start using heaters in our homes which further decreases the humidity which is already low. Gas heaters are commonly used in our country and these conventional gas heaters consume oxygen and produce carbon dioxide and carbon monoxide which are harmful to the human beings, other than drying up our skins. Another option is to use good quality latest heaters which do not completely consume the moisture, and the best option is a water heater. Heat produced through water heaters does not consume so much of moisture, and does not produce carbon monoxide either. stay fresh and good looking. If there is someone allergic to woolen products, he or she can use good quality cotton clothes or any other material as well. Whatever is used, the ultimate objective is to keep warm, lose less moisture and keep the skin fresh and glowing. Use of moisturizers is also very important in the winter season. There are different moisturizers available in the market and occlusive moisturizers are the best. Occlusive moisturizers are such agents which physically prevent or retard water loss from our skin. The most effective occlusive moisturizers include petrolatum, lanolin, mineral oil, and silicones, such as dimethicone. Commonly available petroleum jellies are very effective moisturizers. Aloe vera is also very effective moisturizer which grows wild in almost every climate throughout the world. If the plant is applied directly to the skin, it may cause allergy or irritation. The best way to use aloe vera is in the form of cosmetics, skin lotions and ointments, which are processed and do not cause allergy or irritation. Hot bath in winters is also an effective way to moisten the skin. Water should not be too hot, moderately warm water has soothing effects, relaxes the body and warms up. Moisturizers can be applied to the skin after hot bath which produce very good results. It should be kept in mind that hot bath does not produce the dandruff. Dandruff is a disease which is not at all aggravated by the hot bath. Our water intake is decreased in winter season as compared to summer. In summer, we sweat a lot which increases the body need and we drink more water. In winter season however, loss of water is minimal so we tend to drink less water which results in dryness of the skin. Our daily water intake should be moderate because excessive intake is not associated with normal skin either. In winter season, excessive hand washing must be avoided. Excessive use of soaps results in loss of moisture which leaves the skin dry. In such a condition, use of petroleum jelly is highly recommended. Jelly can also be applied to cracked heels, and the use of socks after application provides better results. So it can be concluded that we can protect our skin from extreme cold weather by acting upon the advices by a qualified skin specialist.